Thomas Anders & Modern Talking Band & BAD BOYS BLUE! The EURO DANCE CONCERT OF THE YEAR - TWO NIGHTS IN TORONTO GTA! THOMAS ANDERS was born on 1 March 1963 and is one of the few German stars who can be said to have made both a national and international impact on music history. During his time with Modern Talking, he enjoyed countless chart successes that spread his fame to almost every corner of the earth. “You’re my heart, you’re my soul”, for example, reached number 1 in 81 countries. Worldwide CD sales of Modern Talking and of Thomas Anders’ solo works have now topped the 125 million mark. 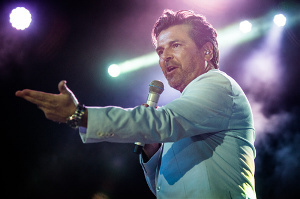 Thomas Anders has received more than 420 gold and platinum discs or CD’s and numerous awards to mark his artistic achievements. The latter have included the “Bambi”, the “Goldene Europa”, the “Goldene Kamera”, the “ECHO”, the “World Music Award”, the Golden and Silver “Bravo-Otto”, the “Golden Lion” from Radio Luxembourg and many more besides. 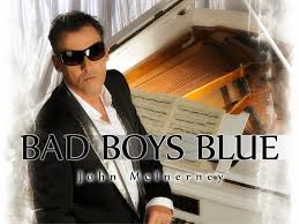 John Edward McInerney is a British-German singer, songwriter, and the front man of the band Bad Boys Blue. He is the only band member from the original line-up of the group still performing. The history of Bad Boys Blue started in Cologne (Germany) back in 1984, when the founders of Coconut Records - Tony Hendrik and his wife, Karin van Haaren (vel Karin Hartmann), decided to create a new music project. They planned to look for members of the new group in England, but finally they found them in Cologne. The original line-up was following: John Edward McInerney (born September 7th, 1957, Liverpool, England), Trevor Oliver Taylor (born January 11th, 1958, Birmingham, England, died January 19th, 2008, Cologne, Germany) and Andrew Freddie Thomas (born May 20th, 1946, Los Angeles, USA, died July 21st 2009, Cologne, Germany). 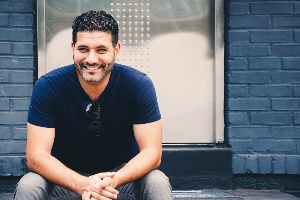 As founder and owner of Exclusively Entertainment, Iman Huschmand has had the privilege of either hosting or producing more than 2000 of the most memorable events, concerts and lavish weddings around the globe. An entrepreneur at heart, Iman spent several years starting up businesses, which included overseas operations. However, his love for music and passion for entertaining influenced his desire to launch a professional, full-service, entertainment company. After carefully hand selecting the finest entertainers and event pros in the industry, Exclusively Entertainment was born and his vision was realized. 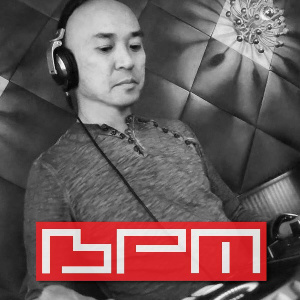 DJ BPM's passion and wide range of musical production services have evolved in the past 33 years. His musical career includes professional DJ in the USA concert...s as well as internationally with 80's New Wave Italo Euro Disco musical artists, directing/producing musical videos, and Creative Director at Team Debut to provide a diverse range of video production services to meet the clients' needs. To see all ticket options, click on the Tickets tab above. All tickets are sold through itsmyseat.com (Same company who has sold all the USA tickets for Thomas shows). We are not responsible for any tickets re-sold on 3rd party websites. All prices noted in CAD. 3 hours of entertainment of the night will be by Thomas Anders & Modern Talking Band, Bad Boys Blue! Opening Entertainment by DJ BPM Spinning the best of 80's hits. Host Iman Huschmand. Be sure to car-pool as much as possible for easy parking and arrive early. This is a dance concert so come ready to party the night away. Copyright © 2019 ItsMySeat.com. All Rights Reserved.